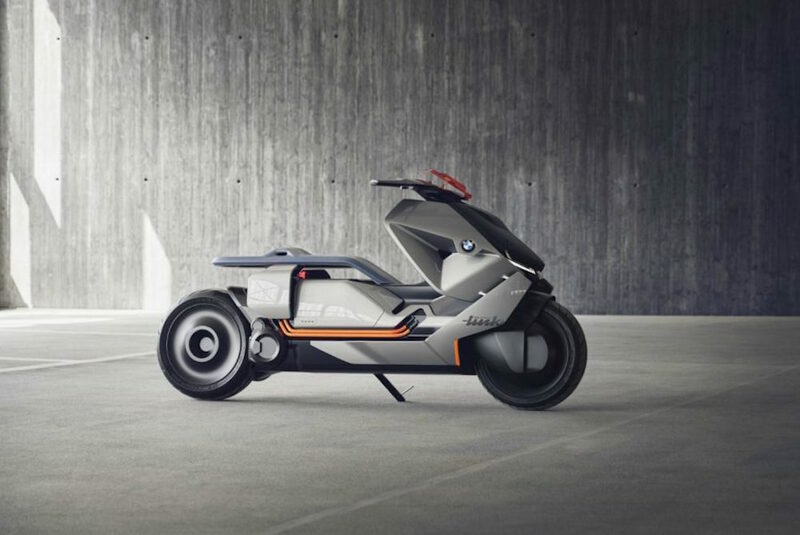 Though it may look like a scooter, BMW’s latest motorcycle design, the Motorrad Concept Link, is anything but. 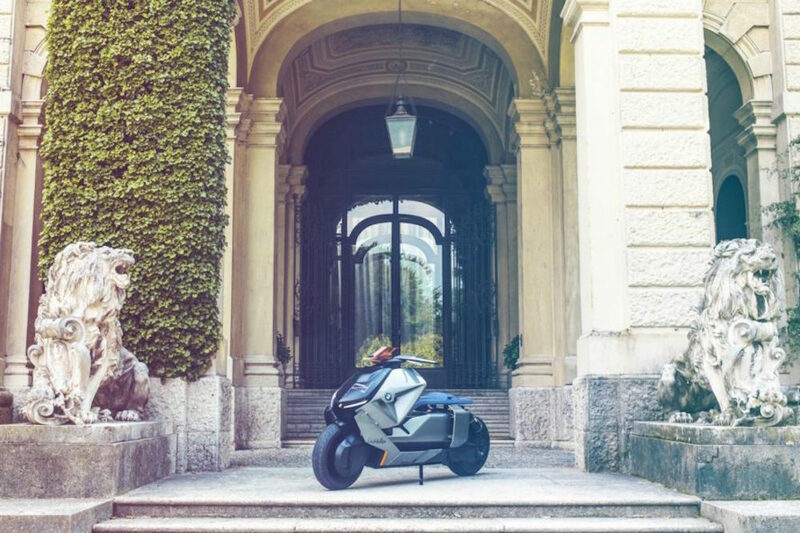 Recently unveiled at the Concorso D’eleganza Villa D’este, the futuristic, zero-emission bike (modeled after the BMW Motoradd Vision Next 100) is both sleek and functional, perfect for the eco-friendly wayfarer. 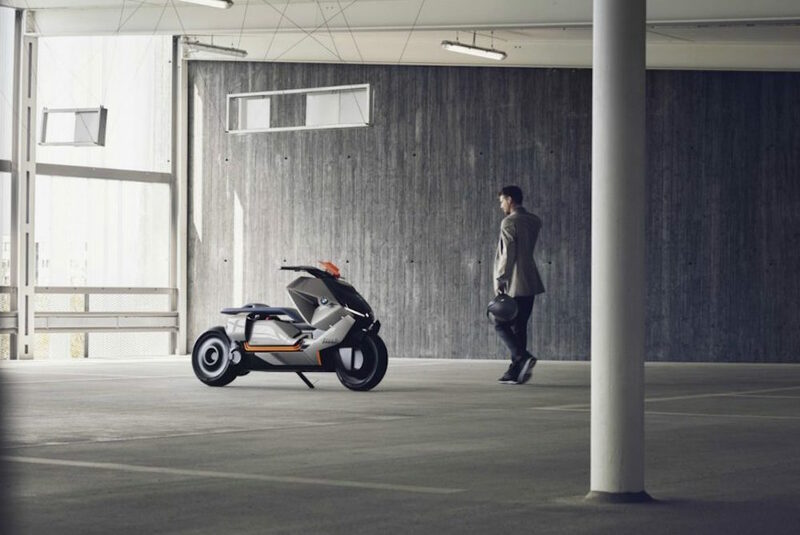 Complete with a low-slung, stretched body and a flat seat, the shape is ‘ideally suited to meet the requirements of modern urban mobility with fast acceleration and easy handling,’ according to the vehicle company. With a low overall height, hopping on the car is easy and doesn’t require the traditional leg stretching maneuver. 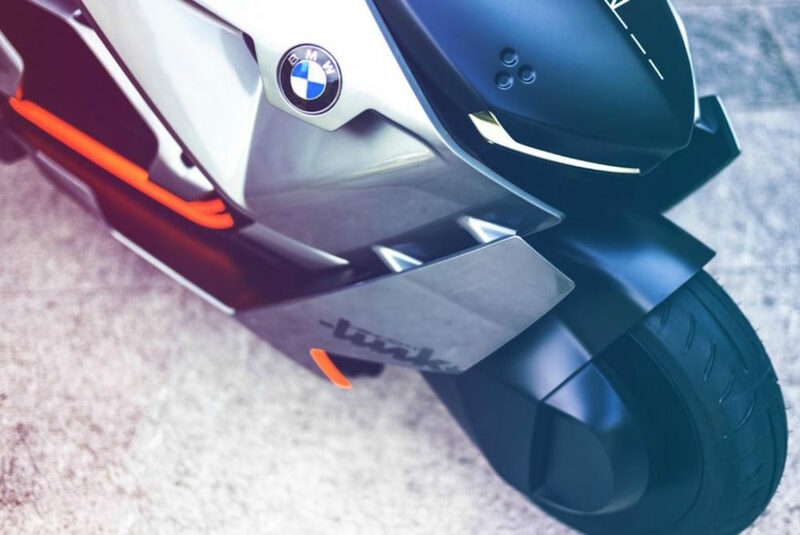 A reverse gear makes parking and maneuvering effortless even in the tightest of city parking spaces, augmented further by the thinning contour of the vehicle towards the back. 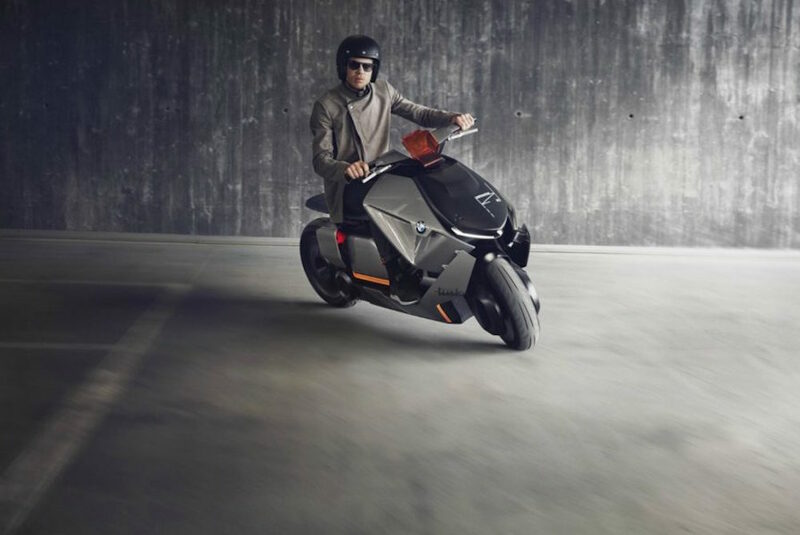 The colors run diagonally to underline the futuristic and sharp theme of the bike, also emphasized by its iconic LEC front lights. 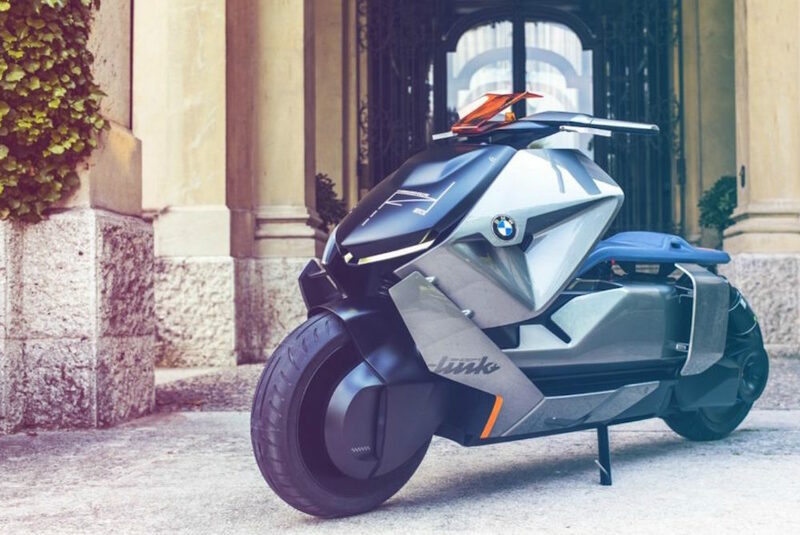 Perhaps the coolest feature of the Motorrad Concept Link however—that which truly serves to set it apart from other motorcycles—is a swappable windscreen which displays information such as speed, battery percentage and navigational information. 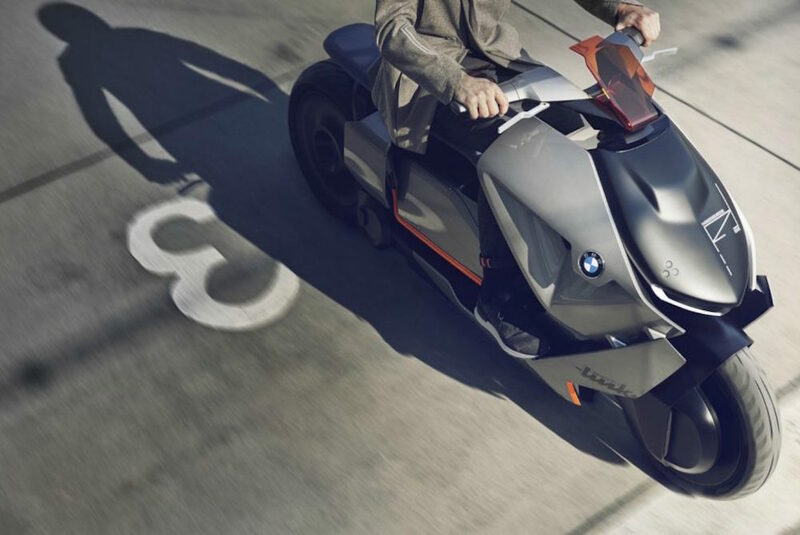 Alternative versions are said to offer additional capabilities, though what those features would be have yet to be announced. 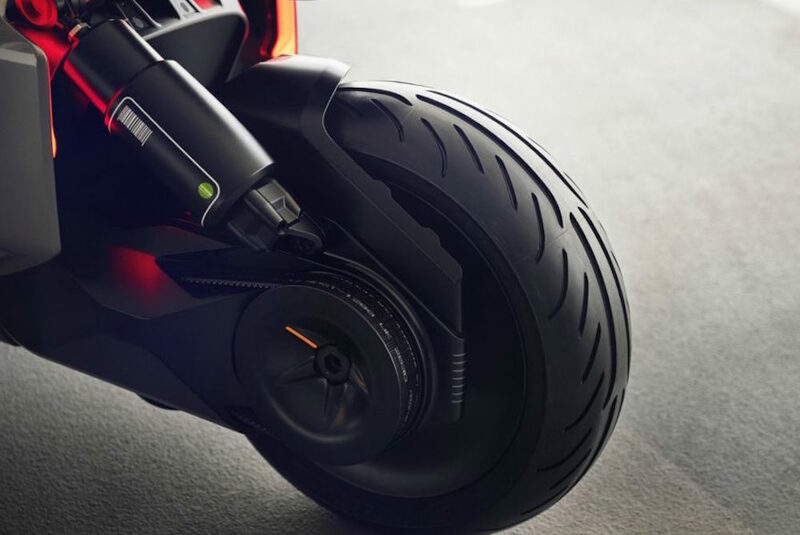 The handlebars as well as an additional screen beneath the windscreen offer touch input as well for easy access to riders’ favorite features during their commute. 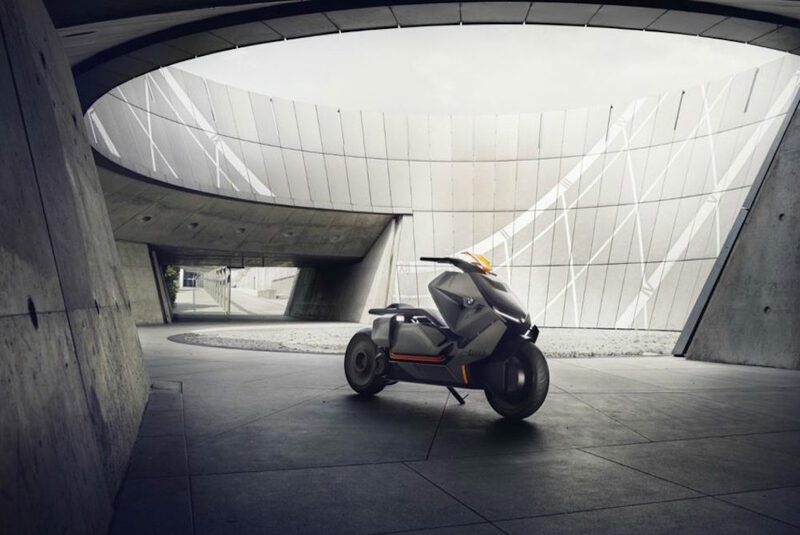 Beneath the seat, a storage compartment filled with a lightweight, motion control-enabled jacket offers additional means of controlling the vehicle (including opening up said compartment with a wave of your hand). 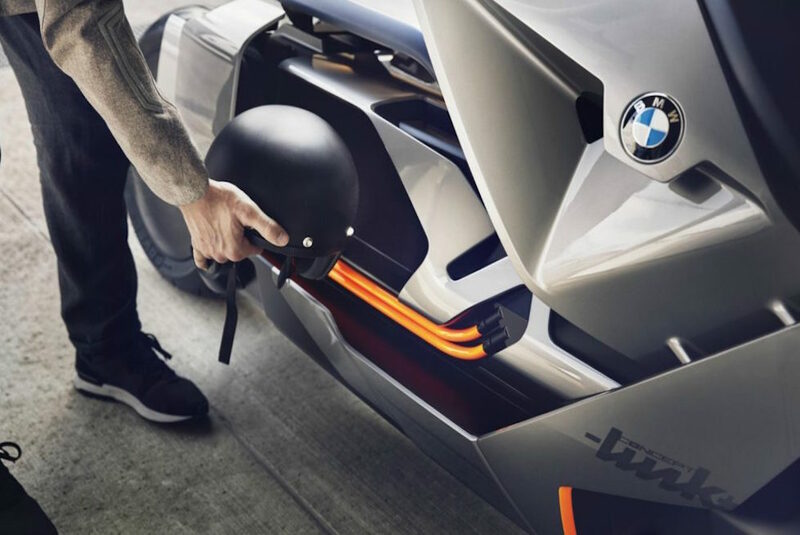 Nodding to the future, the compartment opens in a sleek, sliding motion, and featuring a surprisingly large space to hold your favorite goods.